Ok, let's admit, we all go a little bananas sometimes. 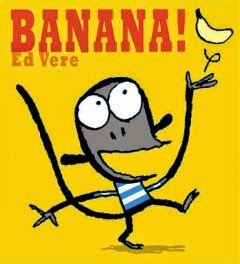 Here's some fun books about bananas that will be certain to tickle your little one's funny bone...and maybe encourage them to eat some fruit for a snack too! 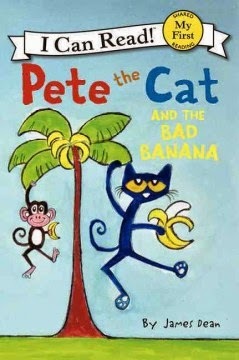 Colorful illustrations and brief text show how two monkeys learn to share when there is only one banana between them. A perfect book for learning the difference between exclamation points and question marks too! 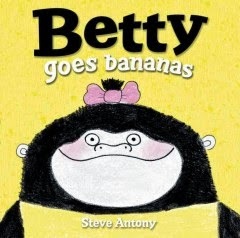 Betty gets upset when she can't peel a banana. When Tucan comes along, he can peel it, but Betty gets upset again because he could do it and she couldn't. This is a perfect book for learning that one can't always get their way and that one doesn't need to always throw a tantrum. Plus, it combines nutrition for your body as well as your little one's soul! Monkey, having spied a banana tree across the water, will stop at nothing to get a snack. What a silly monkey! And here's a fun action rhyme you can do with your little one. 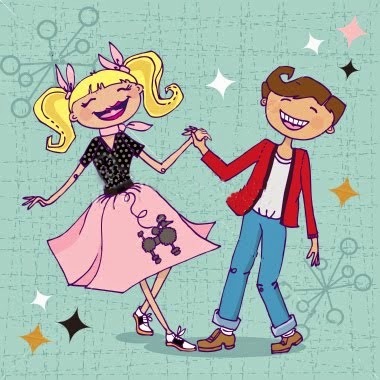 And be sure to chant the words in a steady rhythm while acting out the actions! Click HERE to watch a video of the action rhyme before trying it out! Don't be a Sick Simon! Need an extra immunity boost? Simon learns how to be health-conscious during cold and flu season in Sick Simon by Dan Krall. Illustrations will help define what germs really are and how bad they can be, making this an excellent choice for little ones to understand what they can not see, in addtion to learning the importance of covering you coughs and sneezes. 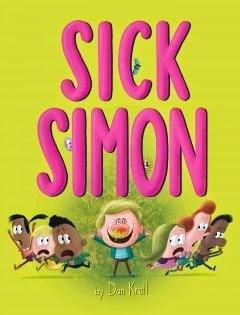 But the biggest lesson of all is this: Don't be a Sick Simon!!! There are so many ways to enjoy picture book e-books. One way is through Library2Go and 3M Cloud. However, kids and go through picture books pretty fast and the Library2Go and 3M have limited check out. Enter Tumblebooks! Sometimes, the events of the day are exhausting and even the act of reading to your child is too much. Enter, Tumblebooks! Kids who follow along with the reader can become better readers than kids who simply listen to a story. Enter, Tumblebooks! This is such a great way to share books with your kids. There are hundreds of great titles avialable with read-aloud options and animated images with unlimited use. 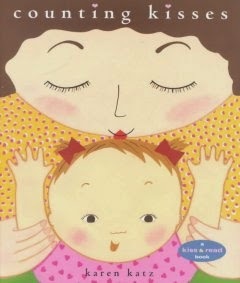 This is a reminder that we will be on a story time break February 23-27. If you happen to stop by, we will have toys available to play with in the Puett Room. At the heart of every scientist, mathematician, musician, or artist is a person who is willing to tinker.The scientist tests and retests (or tinkers with) theories. A musician will work and rework (tinker with) a song before it's finished. "When children are encouraged to solve problems on their own, they learn a great deal through the questions and hands-on experiements that lead to a solution." Think of everything as an experiement. What are you waiting for? 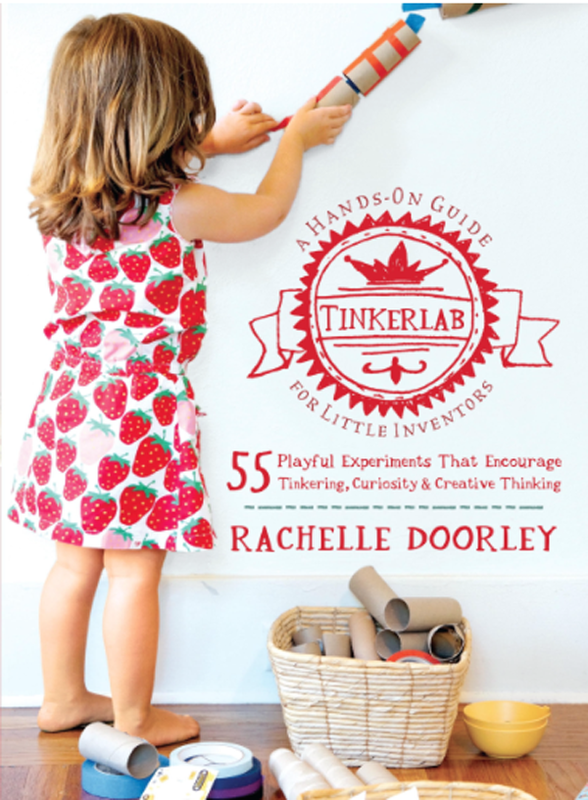 Get tinkering! One plus one is two. Two plus two is four. Four plus four is eight. Sound familiar? It all adds up to fun with Lego® bricks! Join us February 22 in the Puett Room from 1:30-3:00. We supply the bricks, you bring the skills. at 7 p.m. to 8:30 p.m. in the Burgess Room. All ages are welcome! This event is generously sponsored by the Friends of the Tigard Library. Do you LOVE hearts??? And do you LOVE crafts??? If so, we're hosting special craft time full of nothing BUT heart crafts! So come celebrate the day of love and friendship with heart inspired crafts in the Puett Room on Saturday February 14th from 1:30-2:30 p.m. You'll have an hour to make things with love, then give them away to a special person or loved one! Tis the season when we highlight our love towards one another. 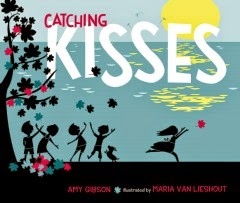 Check out some of these sweet books about kisses, perfect for toddlers and preschoolers to share with an adult they love. 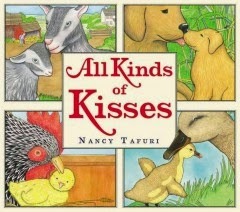 Each barnyard animal on the farm has its favorite kind of kiss, but the best of all is a mother's goodnight kiss in this sweetly illustrated picture book. A journey of the heart follows a handful of kisses as it travels throughout the U.S from San Francisco and New Orleans to New York City. How many kisses does a tired baby need to change her from crying into sleeping? Count how many kisses it takes! 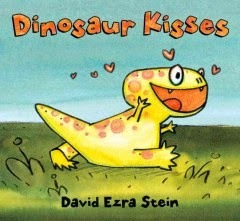 An energetic young dinosaur figures out her own way to give a kiss, which is done in a way you wouldn't expect. 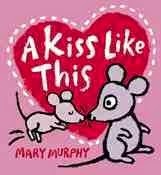 This simply illustrated book describes how different animals kiss one another with lift-the-flap surprises. Are you ready for a magic show? Well, Jay Frasier will come present his Magic of Reading magic show that will entertain you and inspire you to read. All ages are welcome to come see him on Tuesday February 10th at 6:30 p.m. in the Burgess Community Room. Twelve-year-old Fin is a master thief of the Khaznot Quay. He is also utterly forgettable. That's probably why he...wait a second, what was I talking about? Well, anyway, twelve-year-old Marrill just got news that her mom has a life-threatening illness, and she just has to get out for some fresh air. She finds herself in an abandoned mall's parking lot, when suddenly a ship looms above her. Yes, in the parking lot. And that parking lot is now full of water. And a true magician just so happens to be on this ship. So if there are magicians, there must be magic, and if there is magic, then maybe there is hope for her mom. She boards the ship to try to make her case, but when she looks behind her, the parking lot is gone and the ship is surrounded by water as far as the eye can see. She soon learns she is in the Pirate Stream, and the only way back is with a certain map. Problem is, they first have to find all the pieces. The Map to Everywhere, by Carrie Ryan and John Parke Davis is the first in a trilogy for about 4th grade and up. You may have heard of the Newberry and the Caldecott awards, but there are quite a few awards given to literature for children and teens. The winners were announced this morning. For a complete list of all awards and winners, click here. The time has come for the annual library survey! Please tell us what you think about the library by taking this quick 10-question survey! Click HERE to take the survey! The survey is available for you to take online all month. If you prefer a paper copy to fill out inside the library, this option will be available the first two weeks in February. And, all ages are eligible to participate too!